There are many sources of stress in life, some overt, some less obvious. One type of stress that doesn't get a lot of attention but has a big effect on our health is the stress associated with our environment. Some environments are very low stress – like getting out in nature. Other environments, like a loud, noisy industrial factory, wear on us much differently. If you're trying to live a healthy life, you need to consider all the inputs, including how your environment affects you. 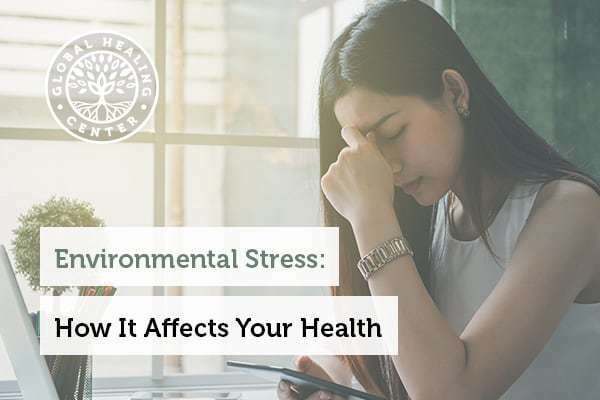 Here, we’ll take a look at environmental stress and its effects. Hans Selye first coined the term stress in 1950 as "the non-specific response of the body to any demand." Since then, scientists have learned much more about stress. For animals – which we are – stressors may include predators, the availability of food, illness, or changes in the living environment. Humans face those stressors but also perceived threats, relationship issues, work concerns, and more. Environmental stress psychology focuses on how people’s mental wellness responds to physical, biological, and chemical stressors. Paradoxically, exposure to some short-term stressors – also called event stressors – can help the body have a stronger immune system. In these quick, sudden threats, the body redirects "killer T-cells" to the skin, where they boost the immune response. The exception to this is when conditions triggering the body’s fight-or-flight response become a regular occurrence, such as domestic violence. The immune system responds negatively to regular short-term acute stressors. Climate change is one of the biggest climate stressors we face globally. It is already causing physical and mental health challenges throughout the world, as individuals, communities, and even nations are forced to adapt to shifts in global temperatures, sea level, weather patterns, and storm intensity. A recent report by ecoAmerica and the American Psychological Association on mental health and climate change found that "Major chronic mental health impacts include higher rates of aggression and violence, more mental health emergencies, an increased sense of helplessness, hopelessness, or fatalism, and intense feelings of loss." Some island nations may have to abandon their entire way of life as sea levels rise, with citizens forced to move elsewhere. In other areas, citizens and economies lose out as reduced snowfall affects ski towns. Changing weather patterns can disturb electricity availability, and while power outages are inconvenient to all, they can be life-threatening to the elderly and ill who have less resilience to extreme weather. Climate change is expected to have an impact on food security around the world, and the lack of food, as with other basic human necessities, is another form of environmental stress. Climate change is truly the global challenge of our time. You can counter climate stress by taking positive action to make a difference, reducing your footprint and how much energy you use. Counter your impact by offsetting your energy use with several online nonprofit and companies. [16, 17] Doing something will make you feel powerful and that you are making a difference. Also, as the old Girl Scout & Boy Scout motto goes, "be prepared." When it is hurricane season, or if you live in a natural disaster-prone area, have emergency supplies on hand, like water, candles, canned food, a gas camp stove, and a first aid kit. Eat less meat, as meat has a very high energy footprint. 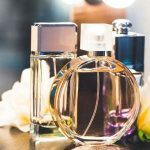 We encounter thousands of chemicals daily: pesticide residue on our food, antibiotics, and hormones fed to food animals, and chemicals in our beauty and household products and even in our carpets and furniture. 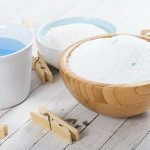 While they may not cause blatant mental stress – unless you live next door to a chemical factory – these substances physically stress the body. 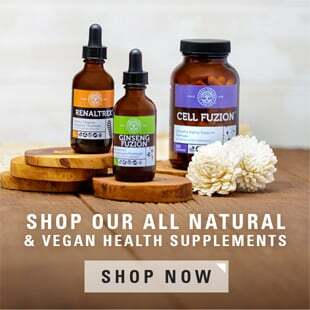 Although the body has natural detoxification processes in the liver and kidneys, these organs can scarcely keep up with so the thousands of chemicals we are exposed to, which means they accumulate in the body, potentially causing long-term health problems. Just a few hundred years ago, people lived surrounded by nature and ate naturally grown foods. Today, we live in a more industrialized and chemical-saturated world. According to Harvard scientists in a 2014 report, industrial chemicals that are widespread in the environment have caused a "global, silent pandemic of neurodevelopmental toxicity" causing harm to the brains of the next generation." Children, whose brains and bodies are still growing, are particularly vulnerable to the physical stress chemicals cause. Because the world is so different than its previous natural state, we face the anthropogenic stressors of noise, movement, and crowding. Countering it requires deliberately spending time in nature. Nature sounds – like ocean or bird song audio – or nature images can provide a quick fix if you can't get away. Besides the direct impacts that crowding and excess stimuli in our environments causes, the decline of biodiversity and natural landscapes around the planet, and in our local communities causes a loss of a "sense of place" in some people, as well as depression, and emotional stress. Physical environmental stressors can include light, color, and energetic vibrations. Too much sunlight or not enough can both serve as stressors. People living in northern latitudes without much sunlight exposure during winter may experience seasonal affective disorder, a condition characterized by sadness and "blues" during these months. Artificial lights, especially blue light and fluorescent lights which are used in many work environments can stress our minds and bodies. Even energy-efficient LED light bulbs, which are often described as the better alternative for the environment, can create stress on the body. Nature is a powerful healing force. We evolved in nature, surrounded by the natural world - whether forests, oceans, rivers, or grasslands. But in the modern world, most people in the developed world live in cities, surrounded by buildings, roads, and cars. The good news is that the human body is hard-wired to respond positively to nature. Scientists found that viewing dramatic vistas in nature strongly stimulates pleasure receptors in the brain. 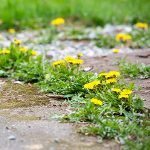 Ill patients who can view nature through a window or see a natural vista have reduced mortality after hospital stays, which suggests that any time in nature can improve your mental and physical health and well-being. And time spent walking in nature reduces depression and stress-related illness. [37, 38] So get out there and enjoy! Lazarus RS, Cohen JB. "Environmental Stress. Human Behavior and Environment." In: Altman I, et al, eds. Human Behavior and Environment. New York, NY: Plenum Press; 1977:89-127. Segerstrom SC, Miller GE. "Psychological Stress and the Human Immune System: A Meta-Analytic Study of 30 Years of Inquiry." Psychol Bull. 2004; 130(4),601-630. Cohen, Sheldon, et al. "Chronic Stress, Glucocorticoid Receptor Resistance, Inflammation, and Disease Risk." PNAS USA. 2012;10(16),5995-5999. Shiloah E, Witz S, Abramovitch Y, et al. "Effect of acute psychotic stress in nondiabetic subjects on beta-cell function and insulin sensitivity." Diabetes Care. 2003;26(5),146. Steptoe A, Kivimaki M. "Stress and cardiovascular disease." Nat Rev Cardiol. 2012 3;9(6),360-70. Lu S. "How chronic stress is harming our DNA. "American Psychological Association Oct 2017;45(9). Herbert J. "Stress, the brain, and mental illness." BMJ. 1997;315,530-535. "Environmental psychology: stress, stressors, and its management." Practice of Psychology blog. Feb. 2012. "Recovering emotionally from disaster." American Psychological Association. Accessed 24 May 2018. Hutson SP, et al. "Survivor guilt: analyzing the concept and its contexts." ANS Adv Nurs Sci. 2015;38(1),20-33. Crimmins A, et al. "The Impacts of Climate Change on Human Health in the United States: A Scientific Assessment." 2016. U.S. Global Change Research Program. Accessed 24 May 2018. "Mental health and our changing climate: Impacts, implications, and guidance." Mar. 2017. American Psychological Association. Hansen A, et al. "The Effect of Heat Waves on Mental Health in a Temperate Australian City." Env Health Perspect.116,1369-1375. Lake IR, et al. "Climate Change and Food Security: Health Impacts in Developed Countries." Environ Health Perspect. 2012; 120(11),1520-1526. Hamrick, K, Gallant M. "Unlocking Potential: State of the Voluntary Carbon Markets 2017." Forest Trends Ecosystem Marketplace. Nicole W. "I'm Carbon Neutral. Are You? A closer look at the voluntary carbon offset market." Ensia Magazine. 20 May 2013. Genuis SJ, Kelln KL. "Toxicant Exposure and Bioaccumulation: A Common and Potentially Reversible Cause of Cognitive Dysfunction and Dementia." Behav Neurol. 2015;2015,620143. Grandjean P, Landrigan PJ. "Neurobehavioural effects of developmental toxicity." Lancet Neurol. 2014;13(3),330-338. Hammer MS, et al. "Environmental Noise Pollution in the United States: Developing an Effective Public Health Response." Environ Health Perspect. 2014;122(2),115-119. Nicole W. "Not All Noise Is the Same: Fluctuations in Transportation Noise Levels and Arterial Stiffness." Environ Health Perspect. 2018;126(1),014004. Myers SS, et al. "Human health impacts of ecosystem alteration." Proc Natl Acad Sci U S A. 2013; 110(47),18753–18760. Speldewinde PC, et al. "A relationship between environmental degradation and mental health in rural Western Australia." 2009;15(3),865-72. First B. "The Science Behind How Nature Affects Your Health." Forbes Inc. 15 Jun. 2017. "High exposure to radiofrequency radiation linked to tumor activity in male rats." National Institutes of Health. 2 Feb. 2018. Accessed May 25 2018. "Electric & Magnetic Fields." National Institute of Environmental Health Sciences.3 May 2018. Accessed 25 May 2018. Yakymenko I, et al. "Long-term exposure to microwave radiation provokes cancer growth: evidences from radars and mobile communication systems." Exp Oncol. 2011;33(2),62-70. "Blue light has a dark side." May 2012. Accessed 25 May 2018. Smith, A, Hyder C. "Designing for Health: The Ancient Feng Shui Philosophy in Modern Healthcare." Contract Magazine. 1 Feb. 2013. "Human Spaces: The Global Impact of Biophilic Design in the Workplace." 2015. Robertson Cooper. Accessed 14 Jun. 2018. Charney, DS. "Psychobiological mechanisms of resilience and vulnerability: implications for successful adaptation to extreme stress." Am J Psychiatry. 2004;161(2),195–216. Ozbay F, et al. "Social support and resilience to stress across the life span: A neurobiologic framework." Current psychiatry reports. 2008;10(4),304-10. "The Road to Resilience.." American Psychological Association. Accessed 23 May 2018. Biederman I, Vessel EA. "Perceptual Pleasure and the Brain." The Scientist. 2006;94(3),248-255. Wilker et al. "Green space and mortality following ischemic stroke." Environ Res. 2014;133,42-8. Bratman et al. "Nature experience reduces rumination and subgenual prefrontal cortex activation." Proceedings of the National Academy of Sciences, 2015;112(28),8567-8572. Grahn P, Stigsdotter UK. "Landscape planning and stress." Urban Forestry & Urban Greening. 2003;2(1),1-18. "Complementary Health Practices for U.S. Military, Veterans, and Families." 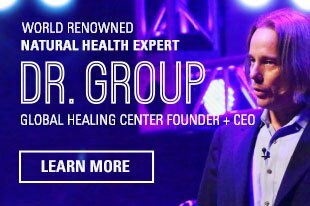 National Center for Complementary and Integrative Health. U.S. Department of Health & Human Services. Updated 24 Sep. 2017. Accessed 24 May 2018. "Mind and Body Approaches for Stress: What the Science Says." National Center for Complementary and Integrative Health. U.S. Department of Health & Human Services. Jan. 2016. Accessed 24 May 2018. "The Holmes and Rahe Stress Scale." MindTools. Accessed 25 May 2018. "Depression and Anxiety Stress Scale (DASS)." PsyToolKit. Accessed 25 May 2018.